On the South side of Chicago on South Rockwell Street, sits Gage Park High School. From a high perch at the top of the three story building, the six (6) SunTech photoelectric (PV) panels almost seem to be looking down the at the neighborhood. The solar electricity from these PV panels flows into the school and also helps to educate the students. As part of the educational side of this project, there is live data for the students to monitor and the school used curriculum provided by the National Energy Education Development Project (NEED) from a series of teacher training workshops held in Chicago over the past few years. 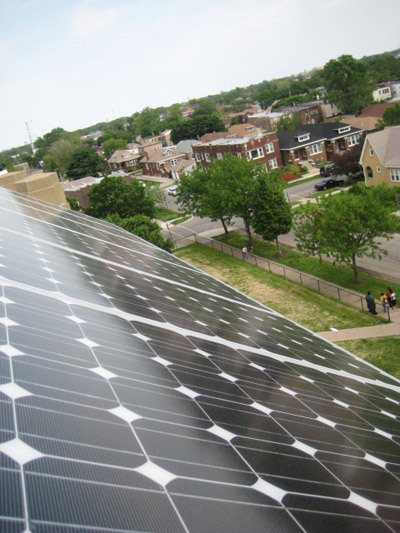 Most of the funding for the solar electricity system and all of the funding for the teacher training workshops came from grants funded by Illinois Clean Energy Community Foundation in Chicago. 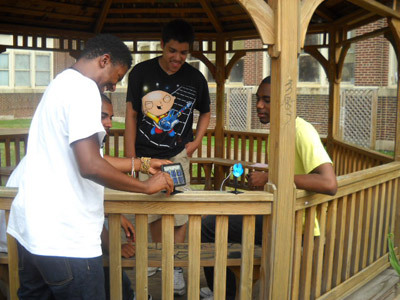 The data from the Gage Park High School solar project can be found on the Illinois Solar Schools web site. The panels were installed at 35 degree angle on the front of the school so that anyone entering the school can see the panels above their heads. 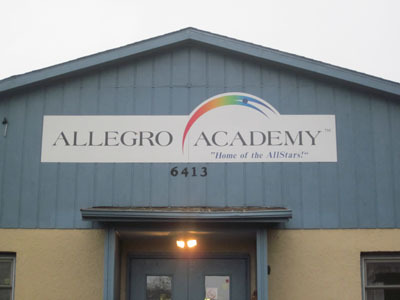 Rockford Illinois Mayor Lawrence â€œLarryâ€ Morrissey spoke to the students at Allegro Academy in Rockford, Illinois recently at the schoolâ€™s solar celebration. He told them how special their school was because it had a solar array on its roof that generated electricity from the sun. Mr. Shu Hong of the Solar Star Foundation was there along with Nick Poplawski of the Illinois Clean Energy Community Foundation who both helped to fund the project. 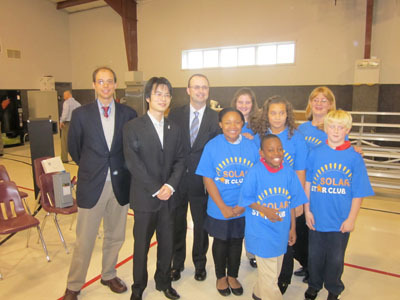 Illinois Clean Energy provided $8,000 in funding while the Solar Star Foundation provided a $1,000 grant. Dale McCormack is in charge of the facility and he and Dave Merrill of Sunair Systems which did the installation were finally able to relax and enjoy the celebration. A group of music students played several songs under the direction of Ms Nanette Felix, principle harpist for the Rockford Symphony Orchestra. While the kids may have had the most fun in the gym that day, Principal McCormack, seemed to be right behind them. It is a great project and everyone there seemed convinced that the solar electricity system would provide some clean energy with a lot of educational support in the areas of science and math. 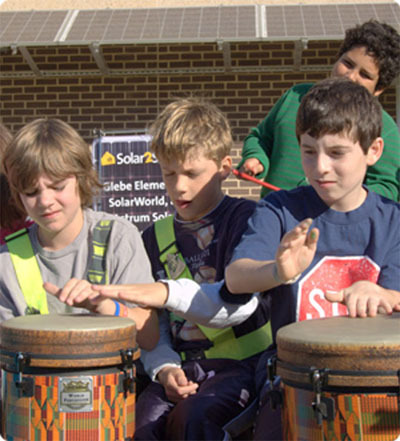 Take a look at the solar schools website and the data for Allegro. And for more information about the Solar-celebration ceremony, the school has included a number of pix and some video on the schoolâ€™s web site. Glebe Elementary School in Arlington, Virginia is simply a happy place. From my first step into the building, with its flamingo-pink walls and pet turtles (â€œplease wash your hands after touching the turtlesâ€ suggested a sign in lobby), the school hummed with peaceful purpose. And the sense of focused calm went beyond the reason for my visit — celebrating the installation of a small, educational solar array. Even after the outdoor assembly had concluded, I felt a coordinated commitment to making learning joyful. 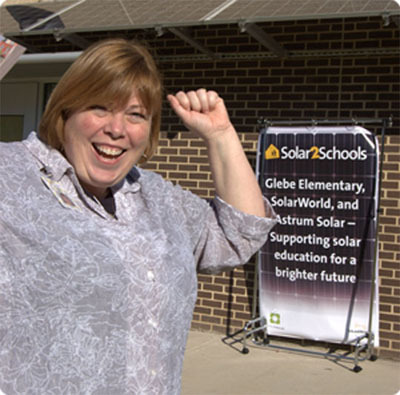 My role at Glebe was to help the school community celebrate SolarWorldâ€™s first Solar2Schools initiative, and to thank the many people and organizations that made the installation of the 1.1 kilowatt system possible. Fortunately for all, it was a postcard perfect autumn morning, the sun shining warmly with not a cloud in the sky, as all 570 students, their teachers, a handful of smiling parents, and a gaggle of dignitaries gathered on the school field, accompanied by the 5th grade music ensemble, drumming under the new SolarWorld solar awning. Another form of alternative energy, the wind, blew over my SolarWorld banner, but by that time we were ready for the ribbon-cutting. 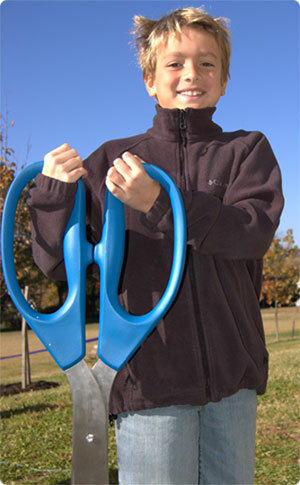 The ceremonial scissors were almost as tall as the handsome, confident pre-teen who wielded them, with some assistance by Congressman Moran. As I packed up my scattered belongings, shamelessly eavesdropping, I was delighted to hear school administrators and parents scheming to add more solar panels to the school. 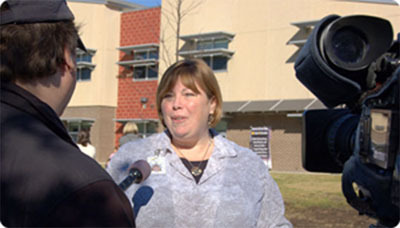 â€œThey look like they belong here,â€ said one of the Arlington School District facilities manager, with apparent surprise. The National Energy Education Development project (www.need.org) will be SolarWorldâ€™s partner on the education component of our Solar2Schools efforts, and Duncan and Jacob at Astrum Solar told me theyâ€™re willing participate in another Solar2Schools project, so I havenâ€™t alienated anyone yet. The workshop started at 8:30 AM and lasted until 3:30 PM.NEED provides printed materials, curriculum-by- age group, and classroom hands-on materials for students. The workshop participants worked with the sets of hands-on materials as part of their training experience. 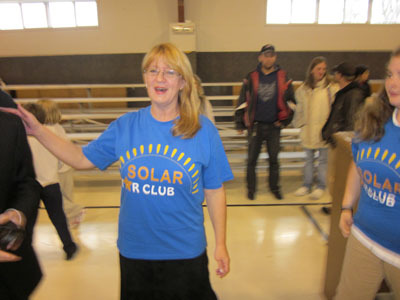 This workshop is the third in a series of Walmart Foundation funded solar workshops. Over thirty teachers participated, with some coming from several other nearby school districts. These teachers join their colleagues in Minneapolis, Seattle, Chicago and Los Angeles to be part of over 250 educators receiving classroom curriculum and hands-on solar kits for their schools. NEED was honored to have two great facilitators for the workshop. Both DaNel Hogan and Matthew Inman have been recognized this year as U.S. Department of Energy Einstein Distinguished Educators. They also serve as advisors to the U.S. Department of Energy. Both DaNel and Matthew are fun and engaging facilitators and NEED is honored to have them on the team. 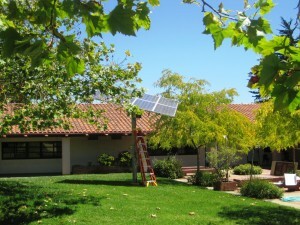 Capital Sun Group, Ltd., installed the four systems. President Carlo La Porta briefed work shop participants on how they can monitor and capture data on the amount of solar energy the school systems deliver via an internet connection. This data is available on the internet for all of the Walmart Foundation funded schools . 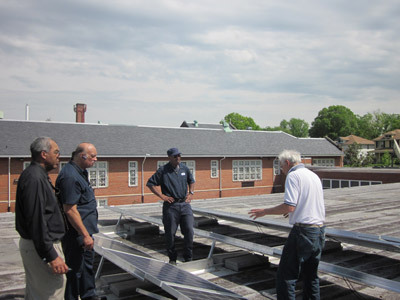 He gave the teachers a tour of the solar array on the roof and the inverter and Webbox interconnection device. Special thanks for the success of the program goes to Eupert Braithwaite whose leadership helped navigate the project through D.C. Public School System channels. 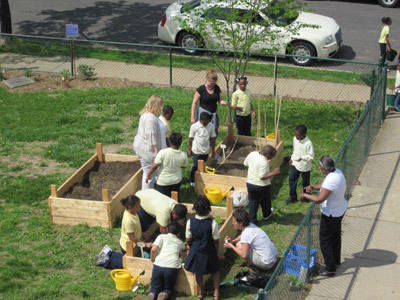 The District of Columbia was a challenging location because three of the schools are historic buildings or in a historic zone and the National Fine Arts Commission had to review the design plans. We all have heroes. People who influence our lives in such profound ways that they not only inspire us to do more, they inspire us to be more. When I met Mary Spruill I was inspired to be more because she showed me the possibility of having a career in the field of renewable energy. The idea that I could make a living in this world by following my passion and working in the renewable sector was novel to me. I always thought that I would have to either be an environmental advocate OR make a stable living, I didnâ€™t know that I could do both. She led me to this realization by example. 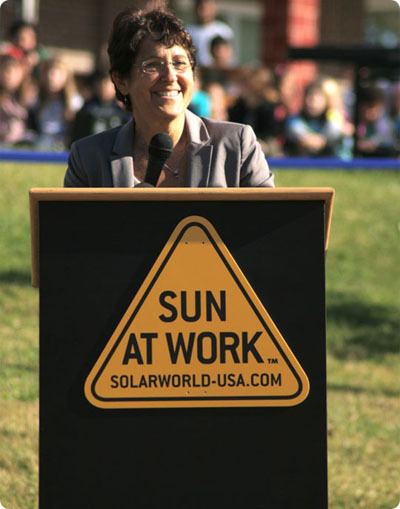 As a true powerhouse, Mary was not only making a living as an environmental advocate, she was the executive director of a national organization known as the National Energy Education Development project! My life changed forever one fateful summer in 2007 when Mary Spruill flew me to Washington DC and gave me an award and by-so-doing, changed my life forever. The result of meeting Mary , for me, has been less of a ripple effect and more like a â€œtidal wave effect.â€ Her networking and assistance helped me get into college, helped me stay on my career path, helped me connect with amazing people and most recently, helped me begin the career of my dreams. The way that she did this was though networking. 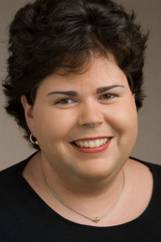 Mary is a big fan of networking and she is truly a master of it. She gave my name to a colleague who needed a presenter to come to the American Solar Energy Societyâ€™s National Solar Conference in Raleigh, North Carolina. At that conference I met Glen Kizer, a champion for energy education and a great new friend, and I also was able to network and socialize with all of the solar companies that were present. So many solar companies, so many business opportunities for a young, recent college grad, and so little time! I made my way through the crowds and found the companies I had researched the night before. I had one company at the top of my list, and after a solid three days of networking and resume pedaling, I secured myself several offers, one being with my first choice. It was a good weekend, to say the least. I ended up getting the job of my dreams with an American solar company that I am completely smitten over and my life has been forever changed! And it is no exaggeration or even stretch to say, it is all in part thanks to Mary. Whether Mary knows how much impact she has on the children and young adults she interacts with or not is unclear to me. If she does know, she is far too modest. The following interview, which I was lucky enough to schedule with her this month, shows her modesty and her realness in its true light. She is more than an inspiration; she is a shining example of a selfless service to children, the environmental sector and the world. I hope to be just like Mary when I grow up. Roanoke, Virginia. I lived there for 18 years and my family still lives there. Q: Did you have brothers or sisters? A: No, I was an only child. Having no brothers or sisters required me to really choose my closest friends who are, in many ways, the siblings I didnâ€™t actually have. I learned to choose my friends carefully and was all the better for it. I enjoyed being an only child. Q: Did you like school? What was your favorite subject? A: I liked school a lot. I loved elementary school. Good teachers are what made me love school. The great teachers in my life had a substantial impact on who I became and what I did with my life. Math was always difficult for me but I did my best. I was always drawn to engineering but math was a roadblock for me on that path, so instead I designed my career around my strengths. In 7th and 8th grade I had teachers who were involved in the National Energy Education Development Project and they really inspired me. I participated in a year-long energy education outreach program and we submitted a NEED youth awards project and got to go to the awards ceremony in Washington DC. It was very exciting and I knew I wanted to be a part of this organization beyond my middle school participation. 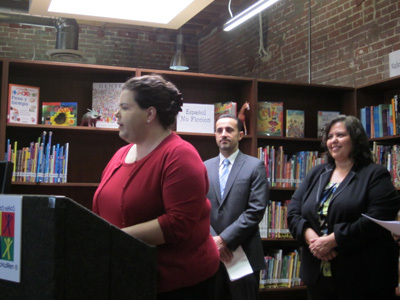 After this, several of us became NEED tutors in our four feeder elementary schools. This was the beginning and Iâ€™ve worked for NEED ever since. I worry sometimes about the fact that Iâ€™ve never had a â€œreal jobâ€, haha! But I love every minute of it! Comment: This statement by. Mary made me laugh but then it also made me stop to thinkâ€¦ Our society is so focused on the virtue of â€œhard workâ€ that when someone finds a job that takes considerable time and work and effort but at the same time makes them happy and smile every day, they worry that they donâ€™t have a real jobâ€¦ All this thought made me feel was gratitude that Mary helped me learn that lesson young; I can go to work every day in a good mood and still be a productive member of society and have a â€œreal job.â€ Thank you Mary for leading by example! Q: What did you want to be when you â€œgrew upâ€? A: It changed frequently. I wanted to be a doctor but life sciences didnâ€™t interest me. Then I wanted to be a vet, but I hated cats. When I was in college I wanted to work for the US Foreign Service, and work in Americaâ€™s embassies and consulates around the world. 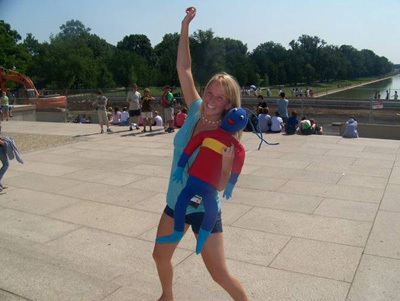 I took the Foreign Service Exam, got the job and then realized I really liked what I was doing part-time at NEED. I started as an undergrad only working a few days a week and worked my way all the way to becoming executive director in 2007. In 2007, I felt like the title finally caught up with the workload. I was used to having a lot of responsibility but very little authority. With the new title, I was finally really able to make things happen and consider our strategy for helping more kids, teachers, and individuals understand energy! Our organization is growing and our staff is young and energized. The best part is we are advocates for knowledge about energy issues, not advocates for any one particular issue. I love my job. Q: What is your favorite part about your job today? 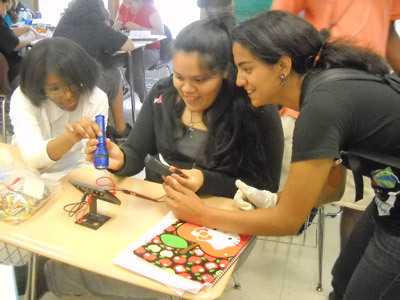 A: Hanging out with our teachers and students and the energy professionals we work with each day! I also love discussing energy issues and solutions with our students, they are so full of hope and inspiration â€“ yes, thatâ€™s you Roxie! . Energy is an amazing subject in which both social and physical sciences come together; from deciding which type of energy to use, to where to produce it, to its long term implications, it all has both a social and scientific aspect â€“ I love this about energy. Energy can never be created nor destroyed, and it is most certainly not boring. Q: If you could give one piece of advice to kids growing up in the world today, about becoming successful leaders of the â€œgreen movementâ€ what would it be? I would just like to say, one more time, on behalf of everyone whose life has ever been improved by Mary Spruill, Thank You!!! for your service, your energy, your attitude and your humor, we all love you, Mary. I began by calling in a real hero, Jayson Lehmann, who is a solar installer from Scudder Solar in Monterey County. He was the best solar installer I have ever worked with and a real titan of the industry. When we got to the school it was beautiful. 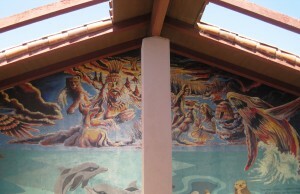 The campus is covered in murals and inspirational quotes were written on the walls. We needed that inspiration because we soon found that the array was more damaged than we once thought. When you install something that is â€œweather proofâ€ you generally assume that means that water wonâ€™t be able to get inside of it and damage itâ€¦ well, when Jayson took the front of the inverter box off, about three inches of rusty rain water spilled out right onto his head! It was not a good thing but we still found ourselves laughing about it. 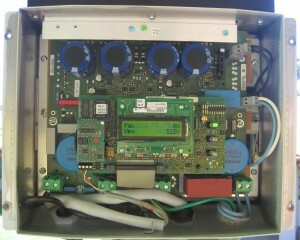 Next we had to buy a new inverter box and install it. We waited the weeks it took to ship and then when it finally arrived we told the school that this was the big day and that their solar school project was going to be saved! We installed the inverter and waited for the big moment but it didnâ€™t comeâ€¦ it was clear to us then that we still had more work to do. The teachers and kids stayed optimistic and wished us luck. The following few weeks were full of long hours of trying to analyze what went wrong, problem solving and â€œah-haâ€ moments. We had many victories but still the array wouldnâ€™t come up on the interactive siteâ€¦ and thatâ€™s the fun part! (the part, I maintain, which is by far the most important!) So we soldiered on. Finally, on August 24th we got the Pajaro Valley Unified School Districtâ€™s internet site approval that we needed to use our program on their network and the project was complete!! Yay! The array is running at peak efficiency most days, but the kids are able to also use the interactive Sunny Portal system to see why certain days the array works better than others. The school is thrilled to have use of their solar array again and the kids are all learning about solar energy and its benefits every day!! It is wonderful to see everyone looking at the solar array in a new way and it is fantastic that it once again can be used as a teaching instrument rather than just a shade structure! Everyone is happy, I am thrilled to have had the opportunity to serve my hometown community and I am forever grateful to Glen Kizer for instilling his trust in me in this monumental way! Iâ€™m sorry it took so long but we got it done! I guess this project comes with a little lesson about life; when things are hard, never give up! Because the hardest things to complete end up being the most satisfying. Have a great school year everyone and stay sunny!